Need Llama cookies? No prob-llama! Check out these adorable llama snacks! Llamas aren’t always the cutest animals in person – plus, they have a spitting problem – but in drawings and pictures they’re cute as a button. Maybe that’s why the popularity of all things llama has grown over the last few years. From llama mugs to llama t-shirts, there’s something llama-tastic for everyone! But what do you do if you want to have a llama birthday party and need llama themed desserts? You make llama cookies of course! 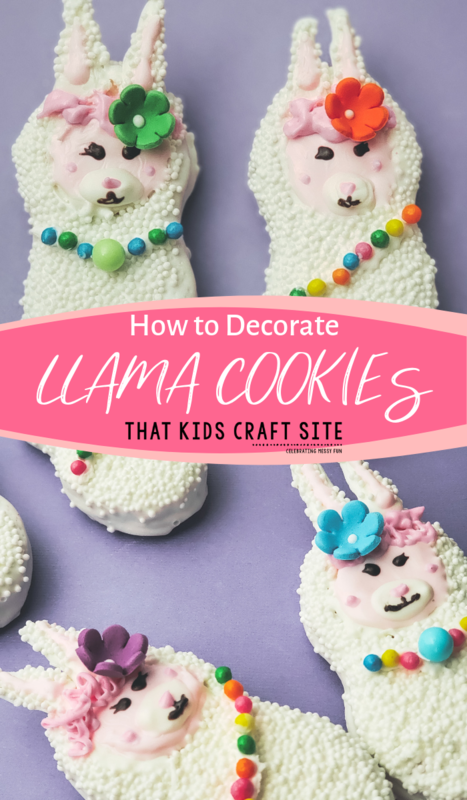 While these llama cookies can definitely be made by kids (with parental help), they are a bit complicated and require patience. 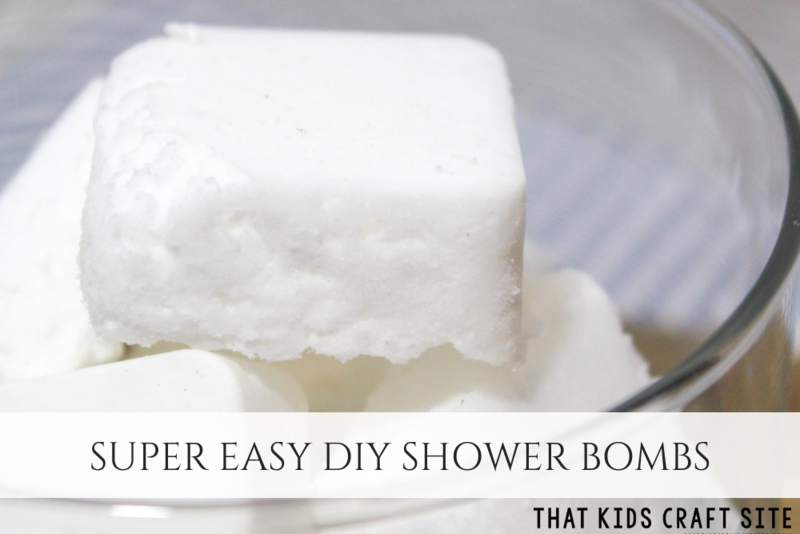 It makes them a great dessert recipe for older kids, tweens, and teens. 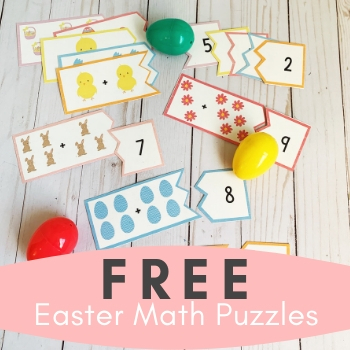 Preschoolers may want to sit this one out. 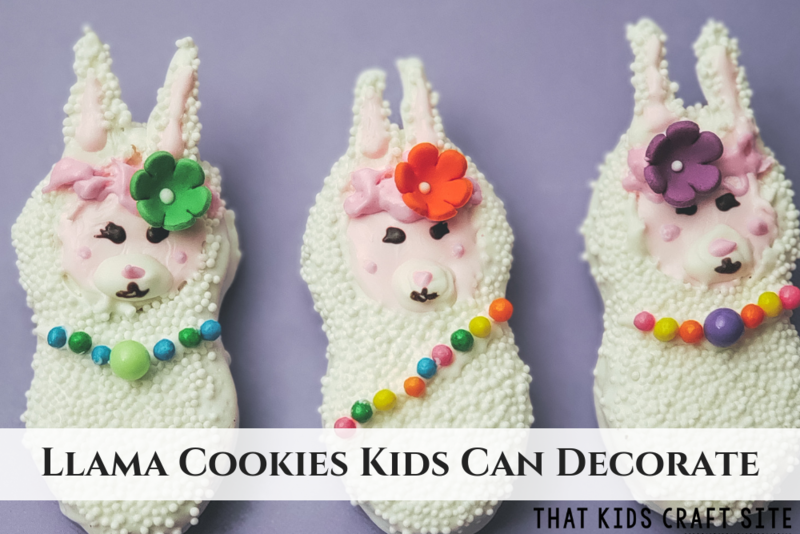 Before you start decorating, here are a few llama cookie decorating tips that will make it a lot easier to decorate your dessert. Have all of your ingredients ready ahead of time. Draw a few practice lines with your icing bags before beginning. Aim for personality over perfection. Make sure you have plenty of time; don’t rush! Ready? Let’s make some yummy llama cookies! chocolate. Fill with water till halfway up side of ramekins *careful not to get water inside them as it will seize the chocolate. Turn heat to medium-low. • Add chocolates and a tiny amount of coconut oil to each, stirring to combine as they melt. thoroughly coated. Hover above dish as chocolate drips off. Set on wire rack to harden. • Pour melted chocolate into piping bags. • Place circle cutter/decorating tip where the face will be and spoon tiny white sprinkles (place a dish under to catch the extra sprinkles) all around the llama while the white chocolate is still wet. Leave in place for a few moments as the chocolate sets. • Fill in face area with pink chocolate from the piping bag. 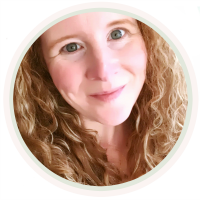 • To create the ears, tear a strip of parchment paper. Work quickly to create the ears or use a spoon and toothpick to create the shapes using melted white chocolate. Sprinkle with tiny white round sprinkles. *make extra and put in the refrigerator to harden. • Add a strip of pink chocolate to the inner ears with a toothpick. • With melted white chocolate, pipe in a round nose/mouth area. • Add eyes and mouth by dipping a toothpick into the black chocolate. • Attach the ears by dabbing toothpick in white chocolate and use as a glue. curly hair around the ears. • Set to dry and harden. • Store in airtight container. 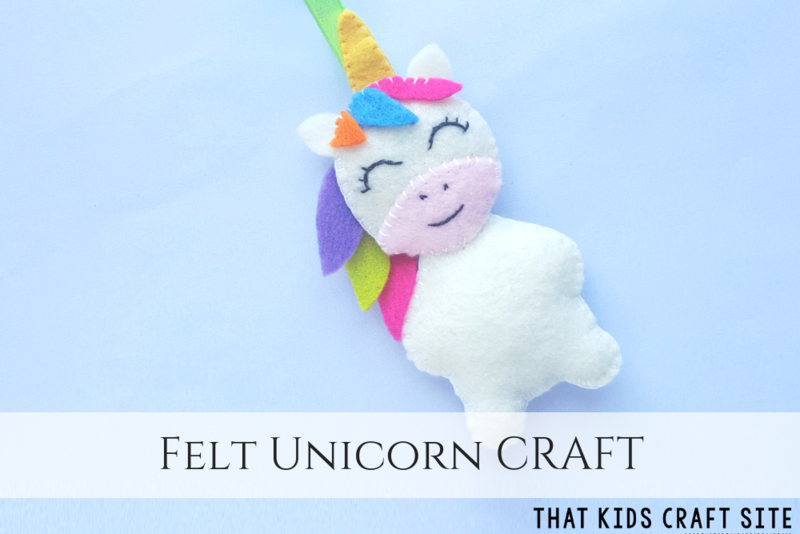 After you make your llama cookies, snap a photo and share it with us on Instagram @ThatKidsCraftsSite! 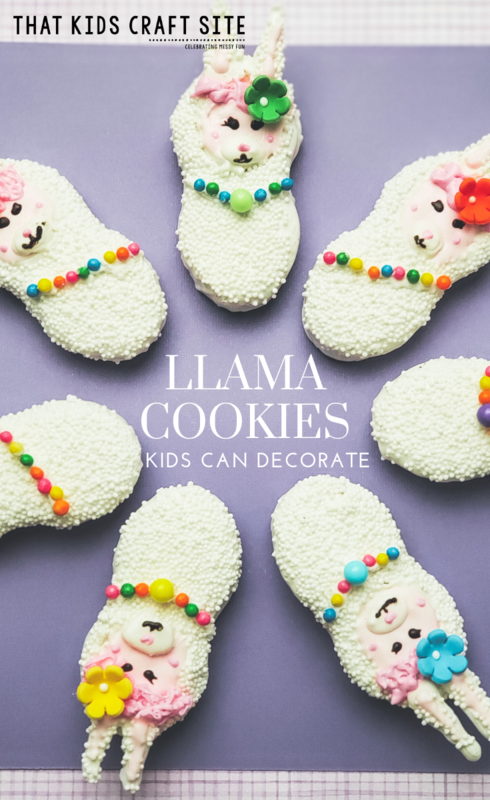 We’d love to see how your llama-tastic treats turned out! 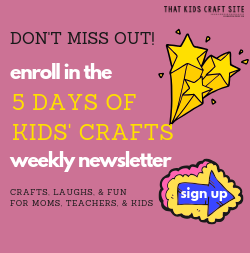 You’ll Also Love These Kids’ Crafts!